Fluffy chive-flavoured ricotta gnocchi, crisped up in herbed burnt butter, swathed in a rich veal ragu and topped with crispy fried sage and rosemary leaves. Could anything be more comforting? I think not! I actually made this dish back in February (as mentioned in my Unblogged Files: February post), but I've been waiting for a suitably cold day to share it with you all. I think we all can agree today is cold enough! This dinner was inspired by the deeply fabulous lunch of braised rabbit with bacon and gnocchi fried in brown butter that Gill Radford cooked for us whilst in the Barossa. The stew I chose was Jamie Oliver's "The Best Stew", from the Pasta chapter in Cook with Jamie. (Recipe here). I've made it a few times before, and I love how the use of white wine (as opposed to red) stops the stew from getting too intensely heavy. It's great stuff. ... and slice them into little pieces. 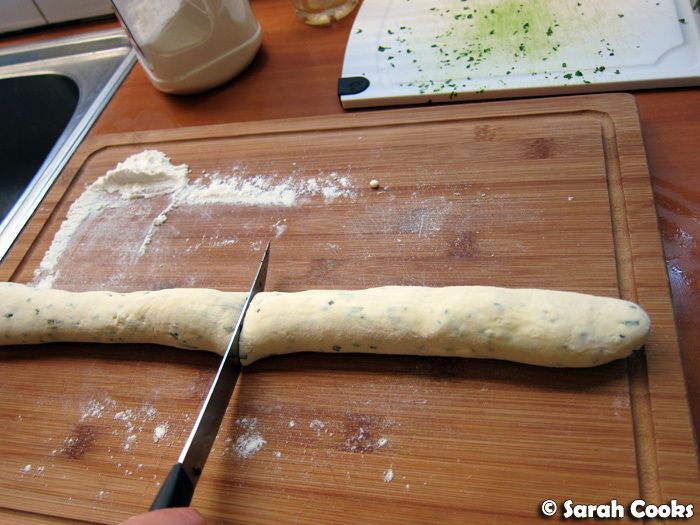 The dough is a dream to work with - as you can see, I didn't flour the board too heavily, but it was really easy to roll out and slice up, and didn't seem to stick together at all. They puff up a little once cooked. They only take a couple of minutes in boiling water, and are done as soon as they float to the surface! If you're not going the burnt-butter route, you could actually eat the gnocchi as soon as they're boiled, perhaps with a simple tomato sauce. However, I just love the crispy edges! 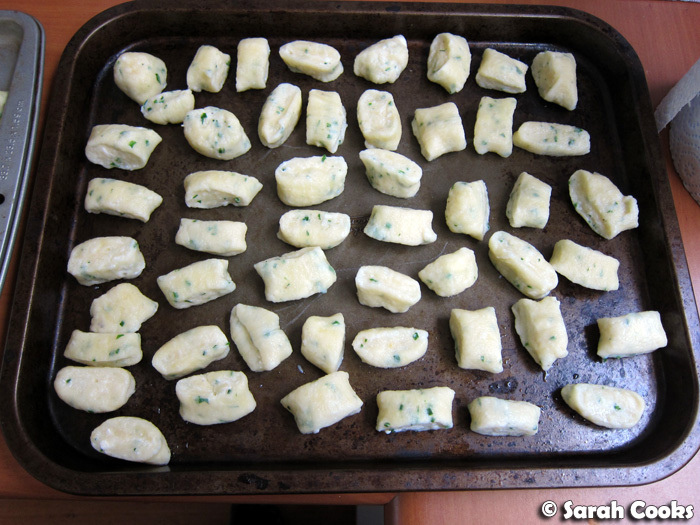 To minimise potential splattering, I let them steam dry in a single layer before frying them. Another tip I gleaned from Gill Radford was to fry sage and rosemary until crispy - it's so delicious and such a fabulous garnish! 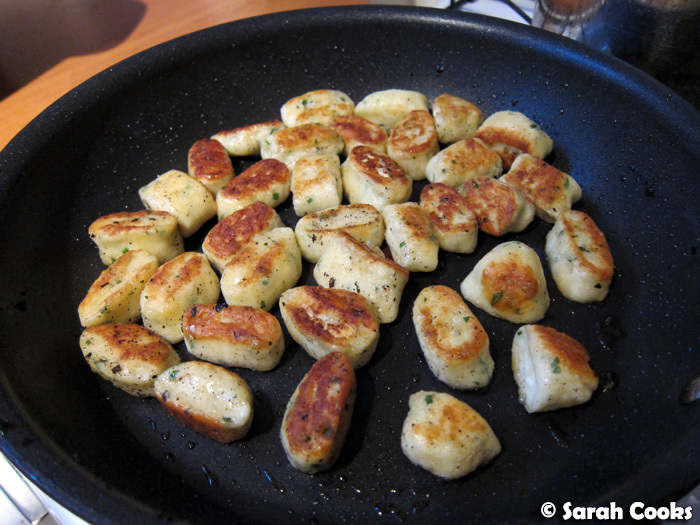 I fried them in the burnt butter, to infuse it with herby flavour before frying the gnocchi. And here are the gnocchi, in the pan, becoming crunchy and absorbing the gorgeous rosemary and sage scents. This recipe is very decadent, yes, but super delicious. Enjoy! 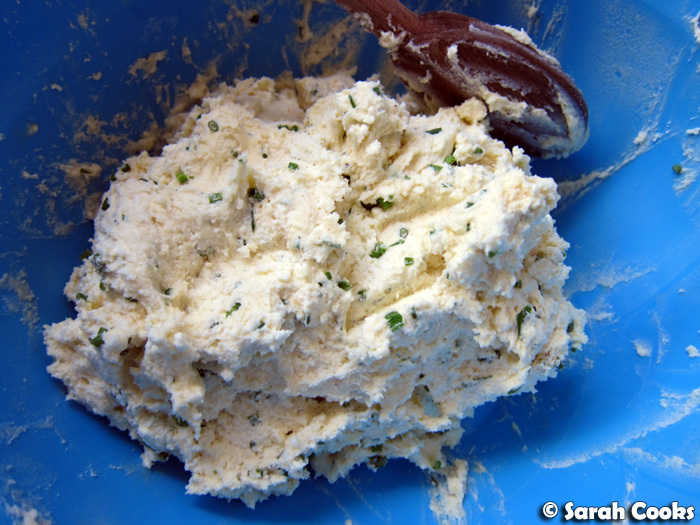 Place the ricotta, parmesan, eggs, flour and chives in a bowl, season well with salt and pepper, and mix to combine. Turn mixture onto a floured surface, and roll into four 30cm logs. Slice into 2cm pieces. Bring a large pot of salted water to the boil. Cook the pieces in batches, for 2-3 minutes until they float to the surface. Drain with a slotted spoon and set aside on a tray in a single layer to steam dry. (The recipe can be prepared in advance to this point). 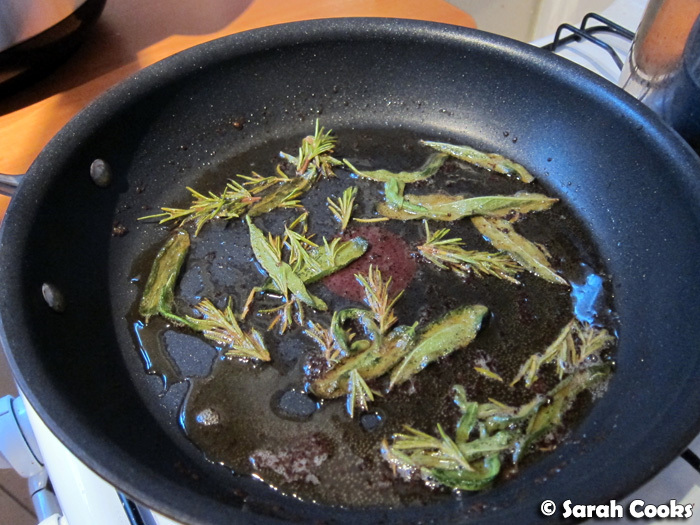 When you are ready to eat, melt the butter in a wide non-stick frypan and add the sage and rosemary leaves. Cook until the butter is brown and the leaves are crispy. Set the leaves aside. 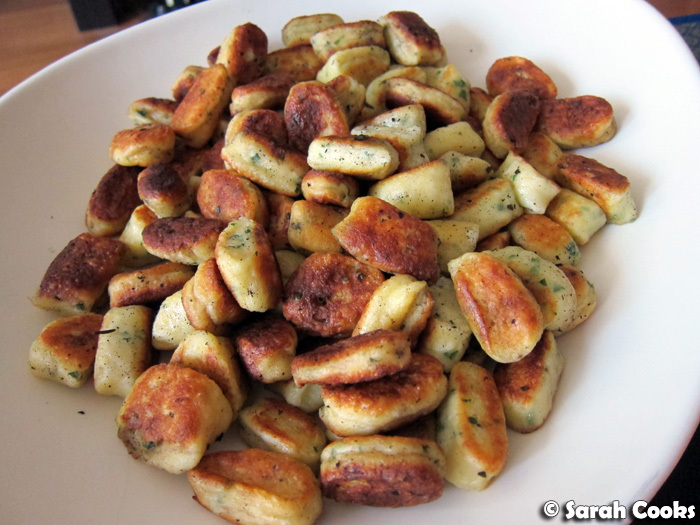 Fry the gnocchi in batches until golden brown and heated through. Serve the gnocchi with crispy herbs and any remaining burnt butter on top as a dish by themselves, or as an accompaniment to a lovely rich stew. Mmmmmmm! 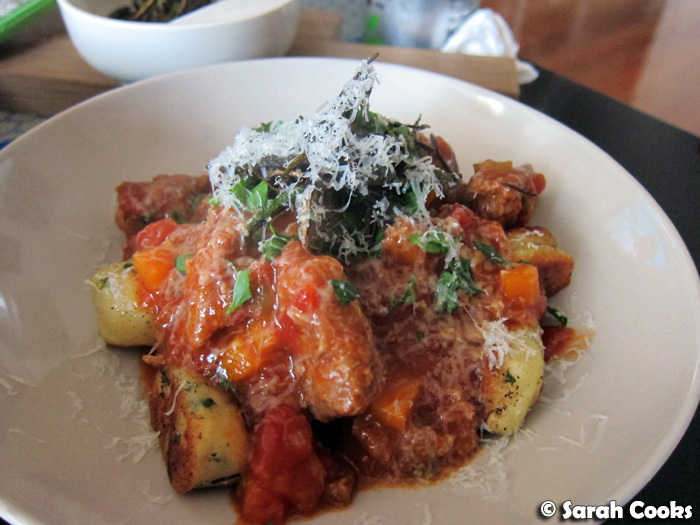 I need these gnocchi in my life! 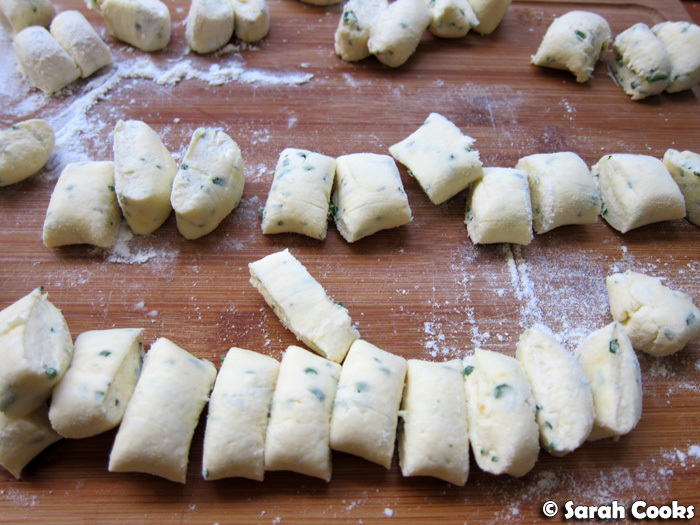 I love making ricotta gnocchi, it's so simple and skips the step of cooking the potatoes! Yum! Leaf - Thanks so much! I was hungry writing up this post too, hehe. 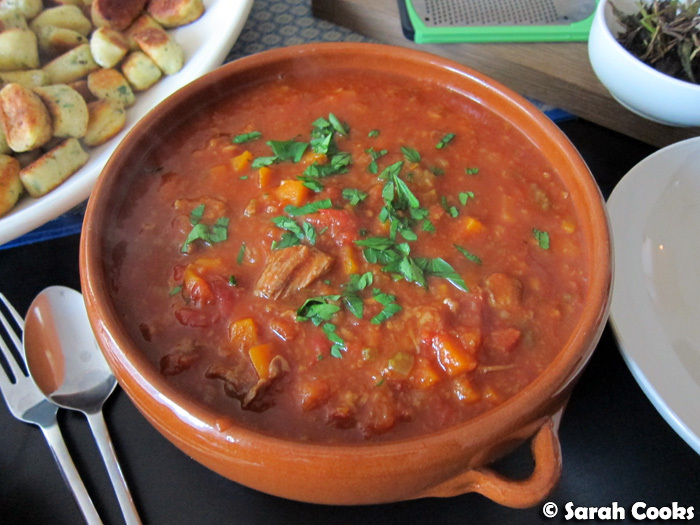 Lorraine - I was so impressed by how quick and easy the recipe was! It's time for some gnocchi! This is absolutely delish!